Few game designers can be ascribed the title of 'auteur' but Goichi Suda is certainly one of them. Over the past decade, he's made a name for himself and his studio Grasshopper Manufacture for their bizarre storylines and unique gameplay. Killer 7 was the game to put his name on the map, and after all these years the game is getting a PC port. At PAX West 2018 we got a chance to sit down with Suda and talk about his life, memories of Killer 7, and his hopes to inspire others. RPG Site: It’s been 13 years since Killer 7’s initial release. When you look back on that period of your life, what’s the first thing that comes to mind? Suda: I remember it being really, really hard. But within that, we knew we were making an entirely new gameplay experience and type of game. So, there’s a definite feeling of satisfaction and accomplishment that accompanies that too. RPG Site: You’d worked on several games prior, but Killer 7 was your first game with a worldwide release. Did knowing that the game would be distributed overseas affect the development process compared to your previous titles that were only released in Japan? Suda: The fact that it was going to be released internationally was an incredibly big part of the development. Shinji Mikami from Capcom reached out to me asking if I’d like to make Killer 7 and it would be part of what was called “The Capcom 5” for the Gamecube. He told me directly that Killer 7 will be a game geared for the western market. So with that in mind, I approached the development of this game and asked myself “what can I as a game developer bring to this”, so yes the west was in our minds the whole process. RPG Site: Many of us have heard of Killer 7 but missed out on it when it was new. Why did you decide to bring back the game after all this time? Suda: You almost answered your own question! 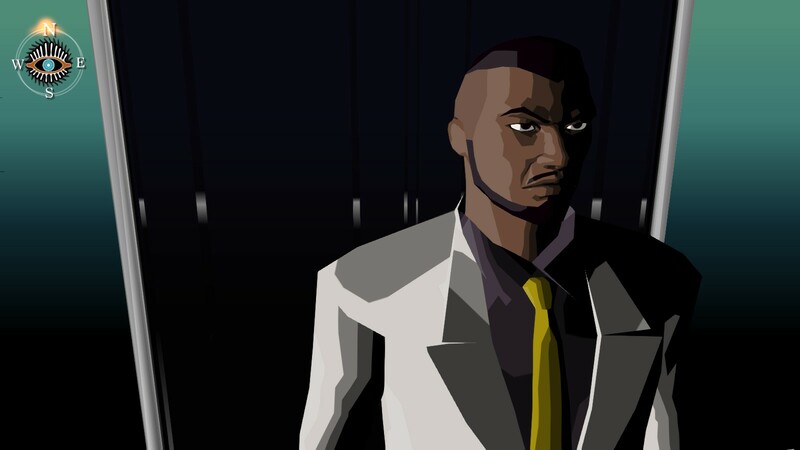 Right now, Killer 7 isn’t an easy game to get your hands on. Every convention I go to I hear from fans, media, and indie creators how much impact Killer 7 had on them. Particularly indie developers have told me how it changed their lives and how they thought about games. So within that, we definitely wanted gamers nowadays to be able to play this game. We spoke with Capcom, asked if it would be ok, and they said yes. Another really important part of this too is the version of the game that was made by Grasshopper was the Gamecube version. There was a PS2 version as well, but that was done by a different company. So it was important to me that the PC port is of the version we worked on. RPG Site: Do you feel like the heavy political nature of the story will sit well with modern audiences as the perception of politics in games is a bit different than it was back then? Suda: Even though I was told "think about the west" if I had made a game that was focused solely on America that wouldn’t have been real. Which is why I decided to do a story on Japan and America's political relations. Which is obviously the backdrop for what’s going on with the Killer 7, within that you have me telling a story about politics in Japan and neighboring countries as well. When we made the game, it was set in the very near future which I believe was either last year or the year before. Interestingly enough, people have told me recently that the events portrayed in the game are still relevant today. RPG Site: Killer 7 had a striking visual style with its cel-shaded graphics, how much care is going into preserving these visuals and will there be any changes made to them? Suda: There have been no changes made to the graphics, but they do look a lot better because the resolution is much higher. The only change is the aspect ratio is now 16:9 instead of 4:3. 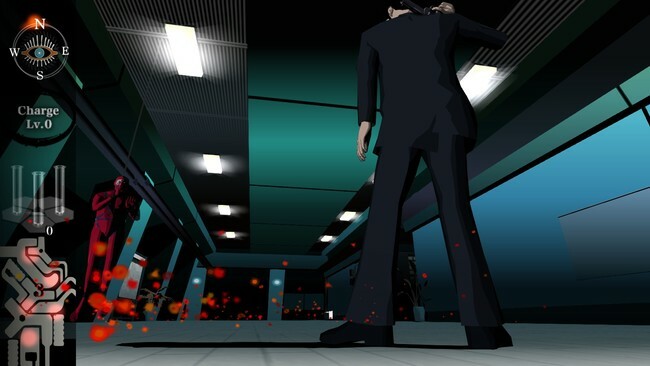 It doesn’t use very many textures, the main thing about Killer 7's graphics is we used color shading really well, and so it was actually fairly easy to make it look better in high resolutions. RPG Site: Are you adding any content, bonus features, or anything specifically new to this version of Killer 7? Suda: Well, this time with Capcom we promised that we would not change anything about the game, it’s a very faithful port of Killer 7. The only thing, again, was the aspect ratio to bring it up to modern standards. RPG Site: In the past, you’ve stated that Killer 7 is your magnum opus and will be hard for you to top. Do you still believe it’s your best work, and if so what exactly makes it so special in your eyes? Suda: I don’t remember recall that it was my best work, but the creation of it was incredibly unique and like no other. For about the three years that it took to make this game I went on a complete media blackout and had no input from other games, from film, from comics, all those things. I focused solely on outputting what was inside of me when creating this game. So that’s not something that can be done very often, I don't think even I could do again. So, in that regard, it’s an extremely unique and special game. RPG Site: For a lot of people, especially in the west, Killer 7 was the first time gamers heard of Suda 51 and Grasshopper Manufacture. Now all these years later a new generation that has played your more recent games will get to play it. What, if anything, do you hope they take away from it? Suda: I really want younger gamers just to see what a game is capable of. When we made this game, we took on so many challenges on ourselves to do this. In addition to the gameplay, there were so many things with the graphics like GC animation. I hope gamers nowadays to be like “Wow! This is what a videogame can do!” the range of expression that a videogame can have is what I want them to feel. From that, I hope it inspires especially young creators to make exactly whatever vision is in their heart.